The cedar (Cedrus) is a coniferous tree closely related to the fir. Its aromatic wood and resinous oil have been used and revered by humans for thousands of years. Cedars are native to the mountainous areas of the western Himalayas and the Mediterranean Sea area. Unlike most conifers that have a central trunk, cedars produce spreading branches that grow off from the main trunk. Cedars can grow up to 100 feet in height, sometimes higher. The wood has a well-known spicy scent. Cedar leaves are evergreen and needle-like. Depending on the thickness of the waxy layer that prevents their drying out, the needles can vary in color from bright green to dark blue-green. The brown seed cones require a year to reach maturity, at which time they disintegrate and disperse winged seeds. There are two species of cedar. The Deodar cedar, native to the western Himalayas, has pendulous branches and rounded cones with slightly ridged scales. This tree is a giant in its native Himalaya habitat, where it can reach 250 feet in height. As a lawn tree, it is more likely to reach up to 70 feet in height. In maturity, its form is wide-spreading and flat-topped. 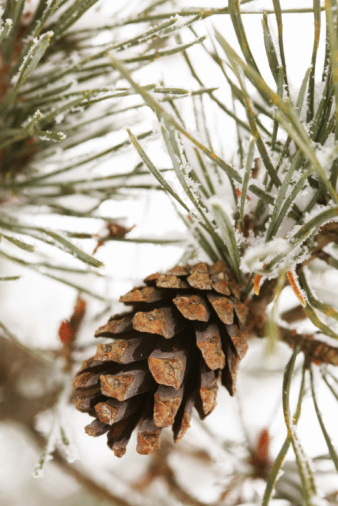 The name "Deodar" comes from Sanskrit, meaning "timber of the gods." It was introduced to Europe in 1822, and to the United States shortly afterward. The Lebanon cedar (or Cedar of Lebanon) is native to the mountains of the Mediterranean Sea areas of Lebanon, Syria and Turkey. It has horizontal branches and cones with smooth scales. The Turkish, Cyprus and Atlas cedars are all varieties of the Lebanon cedar. Very few old cedars still exist in Lebanon, but a program is under way to conserve and regenerate old groves. The Lebanon Cedar is the national symbol of Lebanon, and is the central emblem on the country's flag. Cedars are popular for their ornamental as well as utilitarian value. Cedar wood is decay- and weather-resistant, making it a popular choice for shingles, furniture and construction. The scented wood and oil are natural moth repellants and have long been used to line closets and drawers where linens are stored. Cedar also has been used in building musical instruments such as guitars. Cedar wood oil is a modern-day element in aromatherapy, used for its antiseptic and astringent qualities. The cedar was an important part of ancient culture. The Phoenicians used these trees for building ships and houses. The Sumerians believed cedar groves were the dwelling places of the gods, and burned cedar in their ceremonies. The cedar is mentioned in both the Bible and the Talmud. Cedar was used to build important buildings in ancient times, including King Solomon's Temple and the palaces of David and King Solomon. 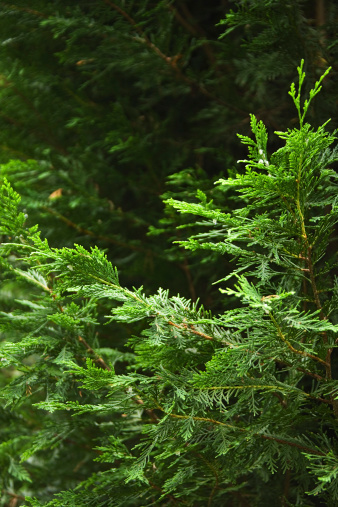 The cedar was the source of one of mankind's earliest perfumes. The ancient Egyptians used the resinous oil of the cedar for embalming. They also used the tree's wood for making sarcophagi (coffins), some of which are still in excellent condition after 3,000 years. Noah was supposed to have prepared an offering of cedarwood and myrtle incense to give thanks for surviving the flood. Cedarwood was also burned as incense in Tibetan monasteries.